Like you, we are fed up with wasteful and inefficient food packaging. We think governments and big corporations can do much more to solve this problem. We continue to strive to eliminate all unnecessary packaging. Next week we are debuting our new packaging for recipe kits, which will significantly reduce the amount of packaging. Our buyers maximize freshness while reducing packaging by acquiring bulk produce such as beets, carrots and kale in reusable crates. 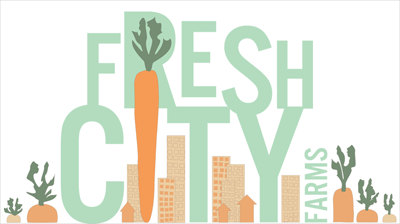 Our Ontario farms, now entering their peak growing season, provide Fresh City with much of our produce this way. Yet, we are dedicated to freshness and are mindful not to substitute packaging waste with food waste. Our leafy greens stay fresher when we bag them, for example. We've also invested much thought, time and money in reusable packaging, including our tote bags, cooler bags, ice packs, jars and milk bottles. Further, to organize your bags we often reuse packaging from our suppliers. By embracing reusable packaging we have prevented over one million packaging items from being manufactured. Recyclable packaging is another part of our mix. I want to be honest, though...it's not our preference. Even with the assumption that households sort correctly, Ontario municipalities are having a hard time processing and selling these materials. Recycling is an energy intensive process. While some packing may be "theoretically" recyclable, such as black plastic, in practice it is often diverted to land fills. We are actively working to totally eliminate the small amount of black plastic that some of our products arrive in. Finally, we work to minimize "unseen" packaging -- the various boxes and dividers in which products are packaged when they arrive at our warehouse. Our suppliers are very aware of our preoccupation. For example, our latest shipment of salad and meal jars (40,000 of them!) came with about 90% less packaging than previous orders. As we buy more, thanks to you, we can insist on such considerations.